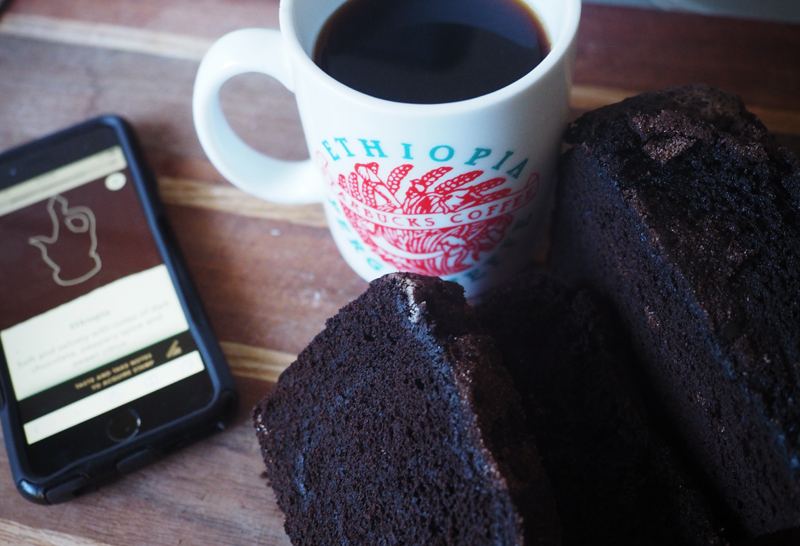 The coffee ceremony is one of the most of the most recognizable parts of Ethiopian culture, and an invitation to attend a coffee ceremony is considered a mark of friendship or respect. The ceremonial hostess will roast green beans in front of the guests before they are ground and brewed. The hostess mixes the ground coffee with spices, and pours them into a clay pot called a jebena. The coffee is served with plenty of sugar, salt or even butter and often complemented by a traditional snack such as popcorn or peanuts. This is the main social event, performed up to three times daily, to take time to talk about politics, the community and life. 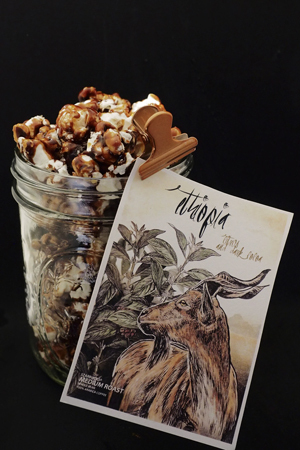 I wanted to pay tribute to this tradition, pairing Ethiopia with popcorn and peanuts, coated with a cayenne infused coffee caramel. 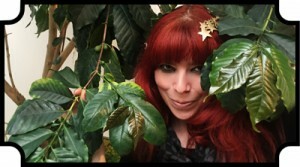 My friend Melody asked me if I could help her out with a coffee tasting with Chuao chocolates. Obviously, this was a no brainer. 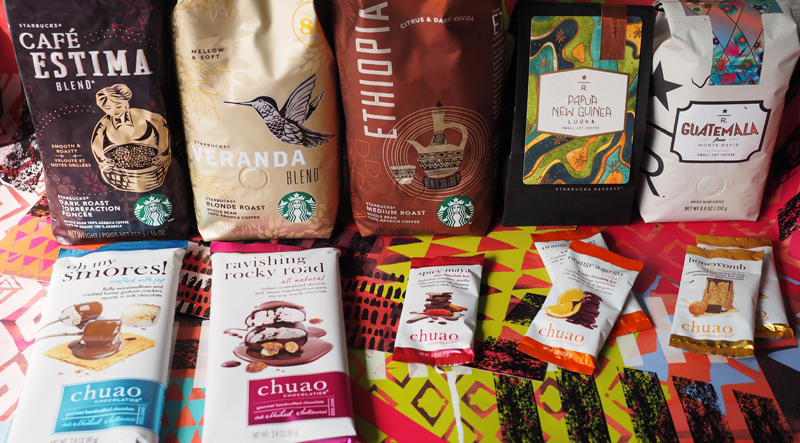 I have been a huge fan of Chuao chocolates for a long time, and was absolutely delighted when we started selling them at Starbucks! 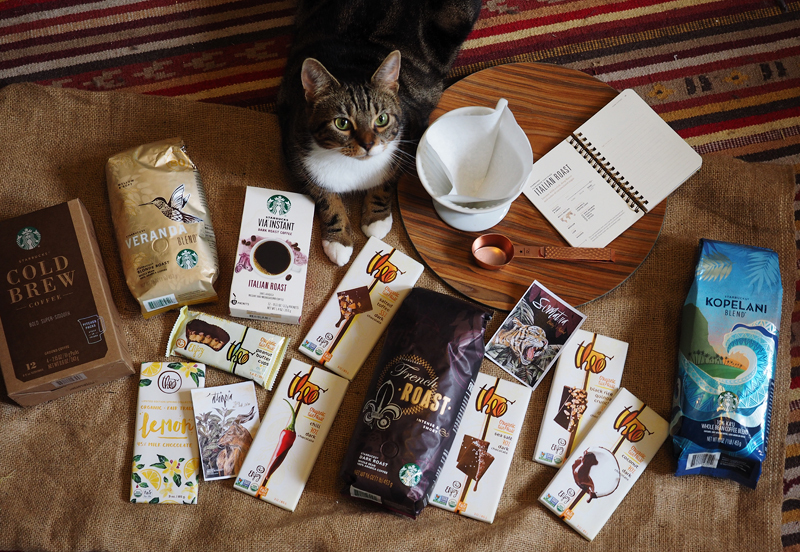 I love their unique flavor combinations, and there are so many different kinds that could work well with our coffees. Since we started carrying these, I have been sampling them with our coffees at the register. So this was a fun project for me to take on!